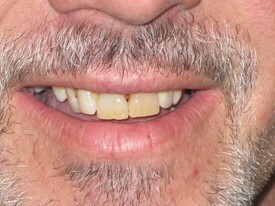 "Building a Tradition of Excellence"
An upper partial replacing 4 anterior (front) teeth and a few posterior (back). 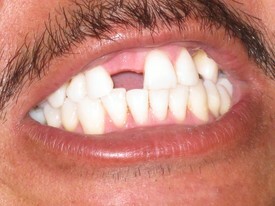 Simple 1 tooth partial, a.k.a. flipper, completed in just a few hours. 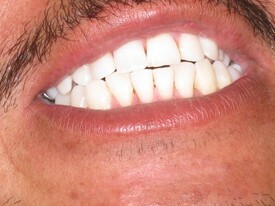 We love making these, single tooth partials. Patient waited just a few hours and he went home smiling. 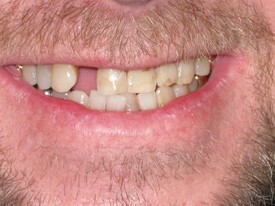 If you couldn't see the 'before' could you tell which one is the partial tooth? Hi Phyllis, Mike and Staff, Wishing one and all a Very Merry Christmas & a Happy New Year. 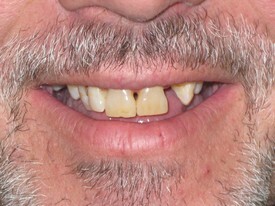 My visits to Columbia Basin Denture Care has been a pleasant one. I would recommend this to anyone needing your services. 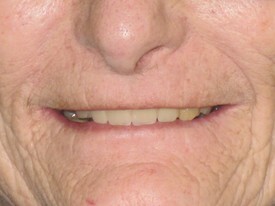 I got my dentures from Columbia Basin Denture Care and I absolutly love them! I can eat more foods and feel a whole lot better with them in! Thanks CBDC! You guys rock!! 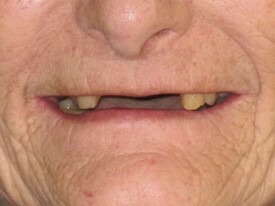 My dad is so happy with his new dentures - Now he can't wait for fresh corn on the cob. I just wanted to tell everyone at Denture Care & Premier Dental that all of you are just awesome! I really appreciate all the care & understanding all of you showed me before, during, & after my procedure. Ive had some pretty rotten experience at dentist offices because the employees were uncaring & insensitive completely the opposite of all of you, I am so darn pleased with my new chompers you guys, they're beautiful & make me feel beautiful. 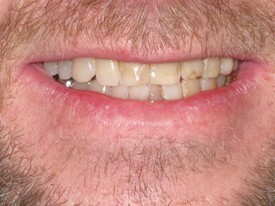 It's so wonderful to finally have nice teeth even if they are store bought (ha-ha)! I will highly recommend you guys to anyone who needs dental work of any kind, you all are the best! What you did mean a lot. Joshua, Every time I look in a mirror my gratitude I will be renewed.